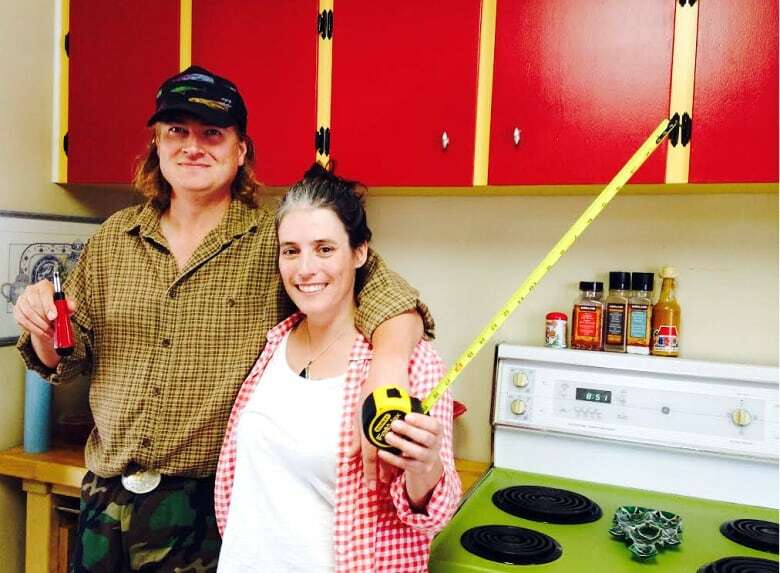 A Calgary couple who are huge fans of The Simpsons are remodeling their kitchen to look just like Marge's. When it comes to remodeling their kitchen, the only thing Marcia Andreychuk and Joel Hamilton can't agree on is who came up with the idea to make it look just like Marge's from The Simpsons. Marcia: "This idea just popped into my head and I pitched it to Joel — kind of as a way to get his buy-in to spend money on doing some renovations." Joel: "I think I was the one who threw it out there, started the volley." Marcia: "Oh no. Oh nooooo." The Calgary couple are huge fans of The Simpsons, but Hamilton is the bigger fan. "Every winter I watch every single episode that's been released," he said. "The Simpsons for me is actually a baby blanket. If I'm not feeling very well, if I'm depressed, if I have a bad day — I come home and pop The Simpsons on and I'm 10-years-old [again] and everything is alright." Before starting renovations, Andreychuk framed a photograph of Marge Simpson's domestic abode to her own kitchen. After that, she went searching online for corn cob-patterned fabric for the curtains. She lucked out and found the perfect match and sewed them herself. Pulling them shut to show off their full effect, Hamilton proudly admits they're "tacky." Then he spews out some Simpsons 101 — that the cartoon family never actually closes their kitchen curtains. "Ned Flanders always has his window to get into the shot, right? Hi-diddly-ho!'" In the meantime, they're covering their countertops, cabinets, washer/dryer, fridge and stove with colourful contact paper, which is similar to shelf liner. After that, Andreychuk jokes they're going to transform their basement into Moe's Tavern.